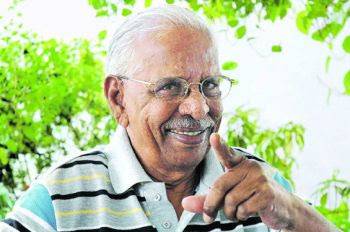 Our veteran Tamil comedian, the great actor Nagesh passed away today. 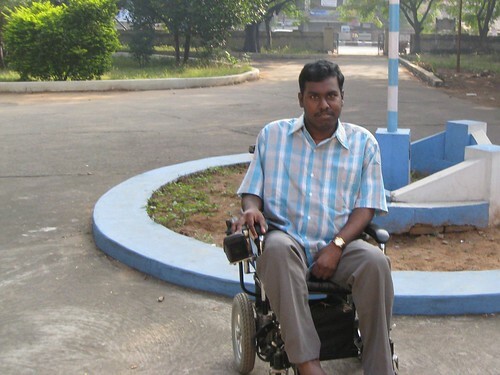 Gunddu Rao was known popularly as Nagesh, suffered from a prolong illness is survives by three sons. He is aged 76. No one is equal when it comes to comedy before Nagesh, he is a man of humor expressions and a well character artist. Definitely it’s impossible to define his immense characters he holds across generations for more than 50 years in Tamil industry ever since any actor stood. Who can forget his story explanation in Kathalika Nerammilai and his best performances in Server Suntharam, Ethir Neecha and countless movies… this man will never going to lose been fame in Tamil cinema, thus how he stands in our hearts though cries and laughter, what not to believe he is no more. I wish we all remember and admire him forever he lives through the Tamil cinema. I never give importance to appearance, but I like to be simple and good looking when it comes. I searched and worked for hours to give a change to my blog page and finale unsettle with nothing then to allow upgrade my template. It’s like having butter in hand to seek ghee! I am much satisfied and comfort with the new look, and creating my own header. Its really wonder, how long have I blinked without knowledge of HTML codes and this is one makes everything easier. So glad that I able to replace my sidebar with no more difference, and being so nice to save the old template codes in notepad, that I could be turn back at anytime in case. In recent, I receive comments that one of our buddy can’t see the pictures, so I though this change could turn something. Life was tough this week without my power wheels and has been ceased from free movements. It was suppose to move, but it resist to turn right on Sunday, so left to service and still they are making it right. Only we miss something, the need increase and get to realize the importance of things. The lack bothers these days, increase the strain of parents, except movement on caliper. What exclusion seems an escape in facing challenges? Today went to a diagnostic center to take a hip-joint X-ray in advice of my therapist to clear his uncertain. From there went to uncle’s workshop-with home to take my sis along to Elliot beach and on the way joins my dad’s childhood friend. We spent an hour or some on the shore and drew to Hot Point restaurant to have some supper and left home. This picture was taken one early morning in Valparai last month. It’s a wonderful sight to see fog like rising from the small stream far near the place we stayed. A relative who guide us said, in summer days they used to take bathe in Kuzangalaru (Pebbles River or such streams), and those times water seems to be warmth! It’s really amazing, with almost cold weather throughout year and only in summer these streams bliss. There was a group of guys near the stream burning something to warm them to celebrate there existence. 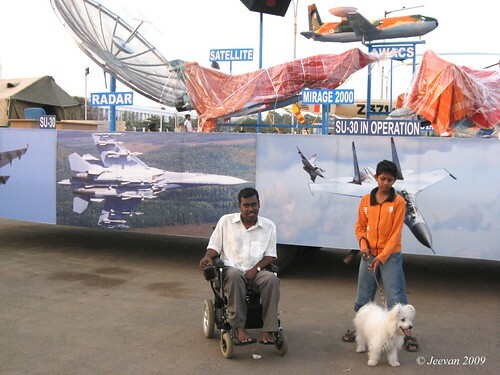 Such long years after I get to wander across marina beach on Sat in wheels, visiting those yet prepared decorated vehicles to exist on 59th Republic Day. I wish to witness the republic day parade and cultural programs happening on the Kamaraj road along marina beach and its usual thing we visit a day before the republic to see the yet prepared decorated vehicles to establish. Well many none interest to catch this program alive on stage, instead of sitting before television screen, and I wished this year I could able to fill my nations interest, but something puzzle on the arrangement of seats, the color cards and unaware parking space all stops me proceeding and I don’t like anything stress to my parents thus my wish. The decorations on vehicles where going-on at the lady wellington collage ground in full action to complete the occasion colorfully. This time I felt there is no more different and everything exhibits in pictures than virtual activities. 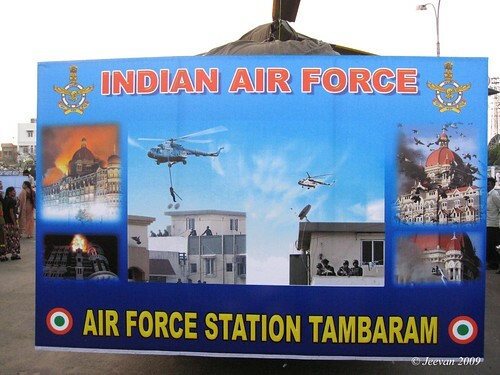 The one nice thing to sight is the Helicopter standing near the lighthouse with pictures explaining the air force usage. 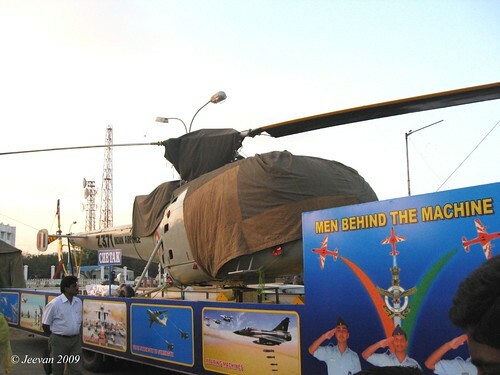 This Helicopter is a model of the one used to drop the commando soldiers in terrace on Taj and Trinity hotels in Mumbai when terrorist strikes in November. 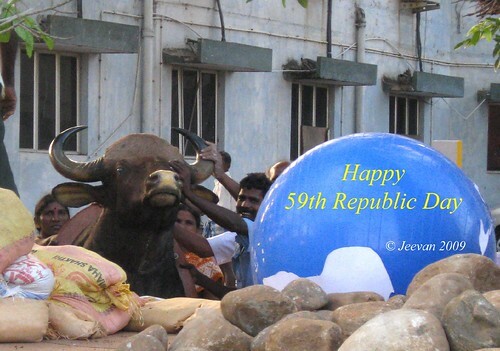 There are more pictures at my Republic day tags here. 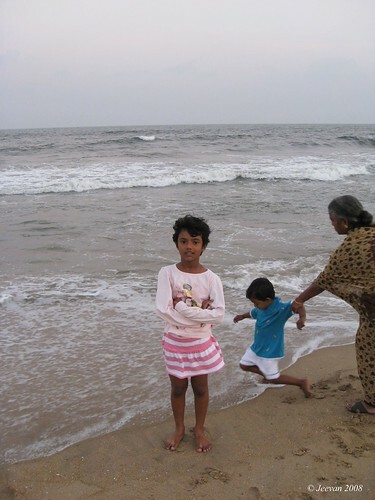 My sister invites us to witnessing the Indian dance festival happening from Dec 25-Jan25, 09 in mamallapuram, so as visiting her as celebrating Pongal. Being renowned tourist place, it attracts more visitors on festival days, so decided to get there uncertainly on Saturday. On the way joins my aunt’s family and it was more fun adding to this trip. The intention was to sight the dance festival in evening and getting to shore temple after noon, but still there was crowd left by festival season and time was less, there was another idea of fishing and hook’s were brought by cousin, though time was less because most of the time spent on to conversation and what can the expectation when families get together. After cuppa we start to walk and me on wheels towards the cheese ball, what can be than fun when walking together and those shared movements. We reached the garden come cheese ball after 15mintues walk, receiving some relatives on our way, and spent sometime on garden, around sculptures. By 6pm everyone was drive outside the complex by whistled guard, I wonder what people may do if stayed after 6pm. There are times this place was uncared and unclean, wandered by lives across anytime and excrements left over, must really appreciate the archeological and tourism department to make this place such beautification and attractive surface with grass floors and fencing around in care those unique sculptures and rock. Being so nice, we moved before those guards force. So we moved early to catch the dance festival on stage before the Arjuna’s Penance, in backdrop of renowned carved elephants. I unaware that days events, just went like that to view a strange performance by guys in crowned head and swords in hand, uttering some odd words, coming around the stage by striking the swords on floor. After sometime I get to know through someone in crowd, it was Arunachal Dance. 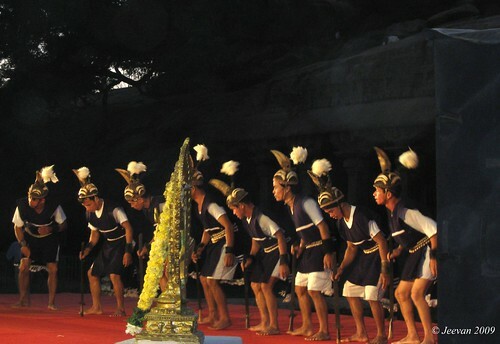 I just Google to know it was Arpos Dance, played by Monpa tribe in Arunachal Pradesh, about 25 dancers, wearing helmets, carrying swords and look like ancient warriors, which describe the manner in ancestors tribe to defeat there enemies. 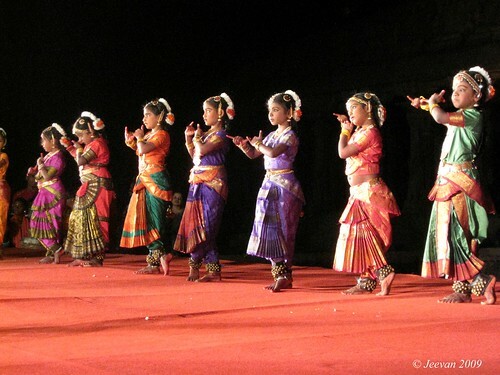 It’s also the state dance of Arunachal Pradesh. 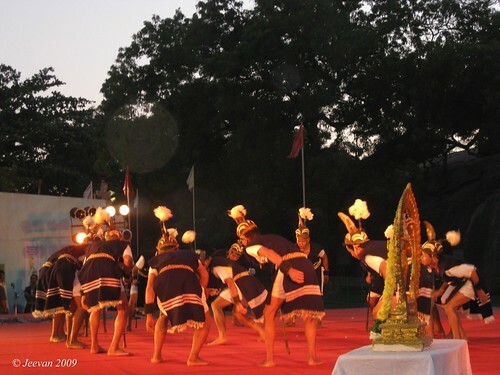 To know, everyday there was some states traditional classic and folk dances are performed in festival. Next was our classical dance Bharatanatyam, performed by the local school students and resident children around Mamallapuram. It’s tough time later, the relatives and parents of the students take place around the stage covering the performance visibility, because we were standing beside the stage closed by wooden protection and they were entered through the gaps and mislead the guards. Finally they covered completely invisible, so we moved and bored to see not much variation in performance. 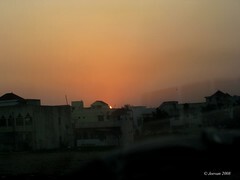 It was late evening, cold weather, and back to sister’s home, having our dinner and arrived home by 9.40pm. 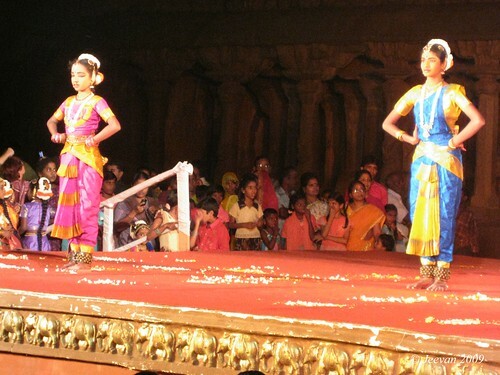 About the festival, it expounds the classical dances of Indian states, in backdrop of glorious rock cut sculptures belong to 7th centuries of Pallava period. 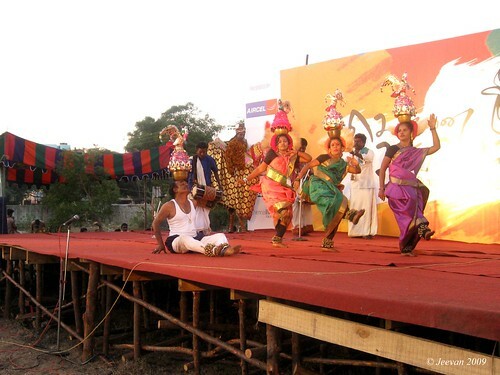 It’s an annual Indian dance festival organized by Tamil Nadu Tourism Department near the season to Pongal. More pictures can be seen here at my Dance Festival set. After the serial time is over at home by 10pm, I turn around channels usually until settle down to sleep. Last night alike I come across sun news to know live from Washington dc on Obama’s presidential inauguration, so I turn to CNN’s live for detail view. 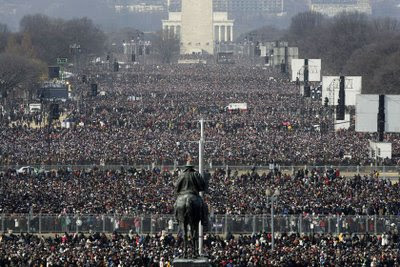 It was such amazing ceremony I have seen ever, people with hope and spirit, welcoming a new dawn calling Obama... across the massive crowds standing for miles. With more patience, the simple Obama disclose to the cheering crowd, without any excitement visage creating a history, but much said his hopeful speech after taking oath as 44th US president. Every time he says us, it would inspire people to work towards the achievement in challenge. Of course I could not understand the whole speech of Obama, unlike others. His memory ability wonders through the speech. Thanks CNN for collecting the important pieces under screen. I just thought how fine those gentlemen are in maintaining the political gesture. The republican too come across the defeat and support the new govern by wishing. I really felt ones listening to presidential hopeful of republic McCain’ speech, that our Indian leaders have to learn from him how to congratulate the winner and acknowledge the true victory and not blame the others for losing and express distress that people chose a wrong person or govern to rule. Something I loved from American politics! Between the violins music by John Williams ‘Simple Gifts’ the inauguration pleasing. 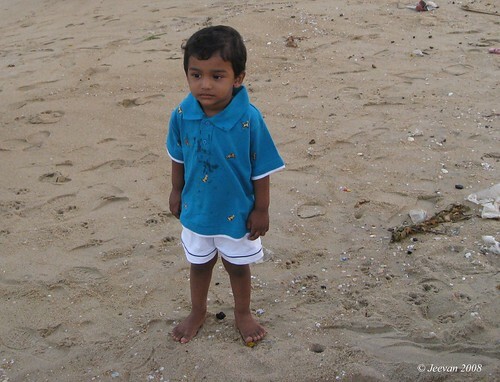 The Pongal holidays happens to be like memorable and revisiting memories. The first two days spent mostly on watching television, and next day I thought to get out somewhere, with no idea where to go and in fear of Kaanum pongal crowd. 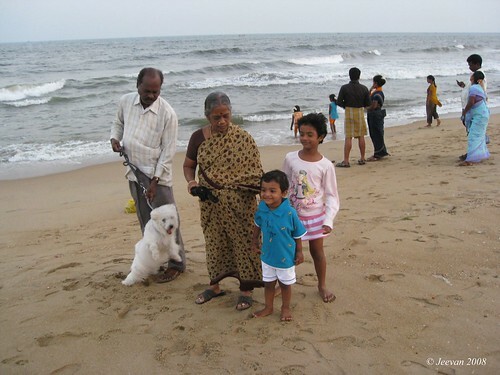 Suddenly mom got the idea of visiting kottamedu - my grandpa’s sister village, away from Thiruporur and just 50km from Chennai. First I don’t liked her idea and said quite no, but when she pulled grandpa I can’t tell anything then, so that he could get the chance of meeting his loved ones and siblings on this occasion of pongal, those would gather usually. It’s something like after ten years, I visiting my favorite place as childhood, roamed immensely around happily. Those are the days we could stable for a week or more in the village and enjoy going to fields’ everyday, playing in pump set water and canals, having palm fruits, tender water, and mangoes and getting into forest to pick cashew nuts and fruits… Many things persist and extend to my wonder, but life that does not remain same these years, resist me getting there. We reached there home for lunch. 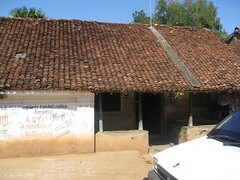 Even they build a terrace home, they continue to live in that old red tiled roof house. I wonder to see that house continue to be stronger and constant immortal. Behind the house, there is a big backyard remains stable for cattle and to drought grains, in middle of the house, there is a rain and sun visiting open space. Being inconvenience I can’t get inside there house, rejecting many invites by relatives, I stayed within vehicle. After sometime we decided to go to field. It was the main intention of my visit, and long time wish. Those are the ways we used to wander to fields and fun rides on the bullet bike with uncle are just reminds driving through the half-road take us to fields. I managed to reach the limited distance on my wheels, even thought I can’t get to specific place where pump set, well remains, I got to see the green fields, listening to varies bird sounds and sharing grandpa’s stories and thinking those tender memories. There left only ridges and moreover around grown paddy green fields. The times we visit to this village, we used to watch movies on cinema shed. It usually supposed to be a night show and alike comes in movies, there are two options to seat. One is on mud floor and the other is sitting on stool. On the movies I watched, I could only remember the movie title Puthu Vasantham. It would be more fun, when our uncle was alive. We used to roaming behind him, and he take us around the village in his bullet and yamaha explorer in velocity. About riding in the stretch between the village and the Thiruporur town then is one of a scary thing, because of its very darkness with either side of forests. It was late in evening when we return, remembers me the fear. Those are days, never gets back and only remains through memories. The Pongal festival has something special than any other festival, where this only festival celebrates for 4 days. 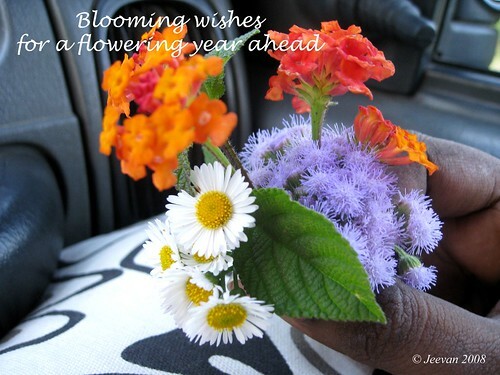 In foremost years, cultivation was the only main source of lives, so celebrating this in pomp way still continues till now for four days as Bhogi, Pongal, Maatu Pongal & Kaanum Pongal. In villages, welcoming pongal is such delight, so as cleaning the houses, whitewashing, coloring, and keeping surrounding clean and dignity, to draw kolam (drawing) to look better the place to make pongal. 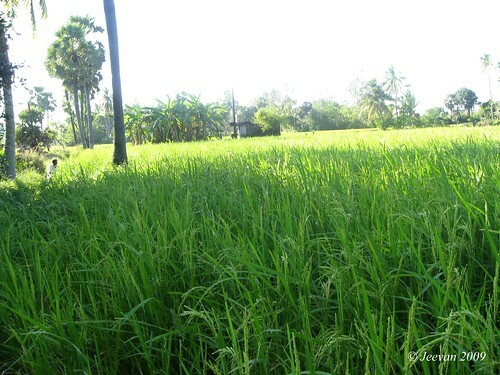 The pongal is mostly prepared with new rice, from the harvested paddies before some days to pongal, with newly grown sugarcanes without dullness of its greenish, turmeric bunch and vegetables, with newly did oven. Oven, not to think the one in our kitchens, it’s made out of three pieces of mud clays, that kept for dry a week before painting colors or to daub the dissolved bull dung on the old ovens to make burn with palm leaves. The day before pongal is Bhogi. The things that remains after cleaning houses and those useless things to thrown away are burnt in front of there gateway. By this they believe the adversity clears and welfare spreads. On pongal, the elders in house wake up early to bath before sunrise, to lit oven and decorated mud pots to arrange in count of newly married couples, from one to three pots to prepare pongal. After worshiping sun and nature, the pongal pots brought into home for special prayers. 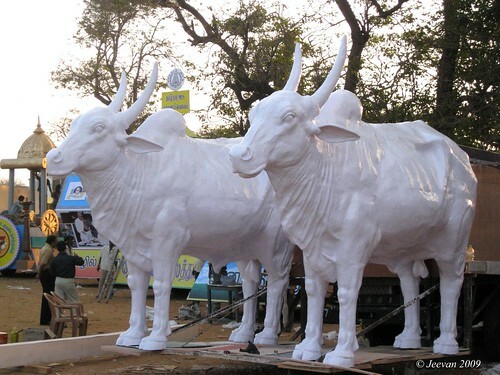 The next day was Mattu Pongal (Bull Pongal). It’s the day to honor the bulls, which strongly support to cultivation and cultivators. On that day, bulls are bathed and there stalls been cleaned, to prepare small pongal within stalls, later the pongal is served little to bulls and distributed to others. On that day bulls are let free and mostly unused to works. 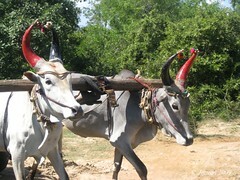 In some towns and cities in Tamil Nadu, on the bull pongal day they conduct bull catching festivals - known as Jallikattu, and other games that kept front bulls. The fourth and final day of festival is called Kaanum pongal. On the usual process, people go out with there families to beaches, temples and tourist space and spent there whole day entertaining themselves, forgetting there hard works and spared freely. Similarly the whole villages celebrate these four days happily and the main reason it continues for thousands of years celebration is because of its simply peoples friendly. As its needs no big worship or prayers, the only intention of this festival is happy celebrations. 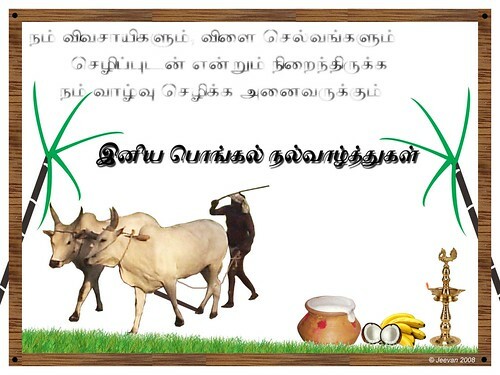 Let’s celebrate the Pongal, welfare to spread and delight to sunshine in our lives. 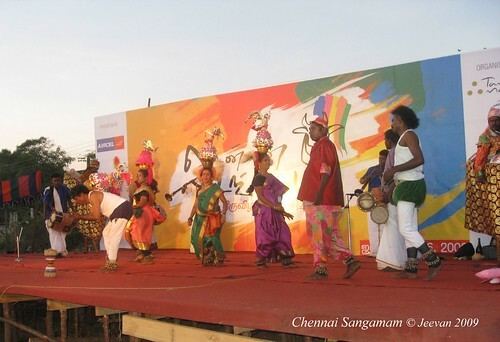 The festival season is around, to indicate and by adding sugar, began this Chennai Sangamam – the traditional Tamil classic folk dance and music open festival. After successful two years of beginning, this festival ideal to develop the declining rural arts, the concept which was appreciated by everyone, that exhibits our own tradition and culture. 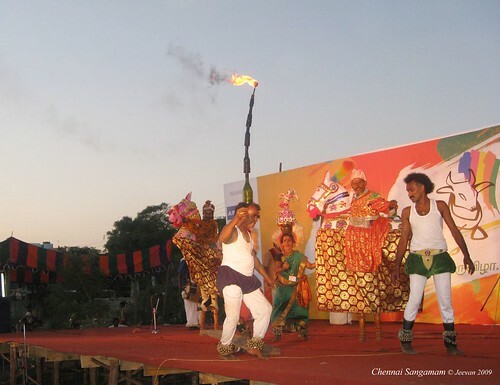 The Chennai Sangamam 2009, which inaugurated on 10the January exists at many places around Chennai, stimulates the festival mood. In welcoming Pongal – the harvesting festival that falls on January 14th, this celebration gives a feel of nearly in traditional way. 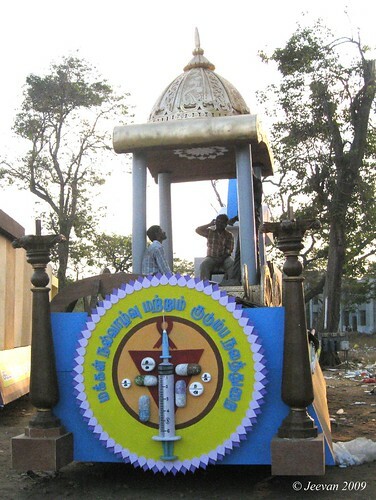 What this arts turn to be only temple festivals special in villages, which seen rarely in today’s world, this truly aware the need and significance of our unique arts. The idea comes out in supporting and raising the declining artists, and helps in discovering certain norms in public. Year by year I could think its popularity and we all began to look forward this festival around. In my view it has a bright future not alone being celebrated, and to make our existing arts to keep in active and some more in spreading to other districts, could certainly witness a growth. Being in same city and knowing this festival, I could not make it a visit in past. But I had an interest and wish to watch those programs, which happens to be a distance vision. I get to know this time that one of the festivals open stage was setup near our familiar beach site in Palavakkam, which I happen to witness on Sunday. Well in advance took the cam in hope to see the festival sometime, it was rural beats welcomes at unexpected site to sight the festival near. 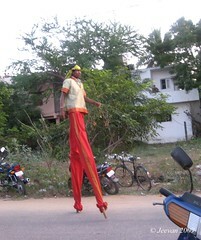 I wonder to see a tall man, just walking around standing on high wood legs casually. Putting his long foot steps sounds like moving hooves… attracts. By the time we arrived, get to watch Karagattam and Poikkal Kudirai aattam, something unreal in memories so far; Kavadi aattam and Tamil folk songs singed by rural artist. It was a wonderful sense, shivering to glimpse those Tamil rural folk dance and music. We must praise those artists come across to remain our traditional style, to make us think why don’t we make it to core than sending them to verge, welcoming only western culture. It’s a pleasing feeling where no were in world has such rich and varies performing genre within a state. I think there are lots of art performances to get on stage till the festival concludes, and I hope to catch some more in coming days if possible. I know everyday there are different folk dances and music to take place, and along they conduct traditional food festival to taste the forgotten or strange. Just a day left for Pongal, there was lot of enthusiasm about the festivals, and the cymbal of Chennai Sangamam emits our sense along. 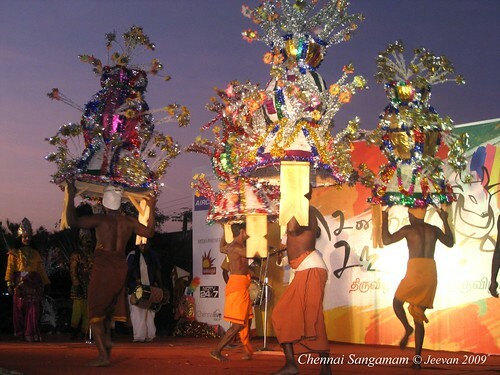 Karagattam was familiarly known by most, as they take places first and more in festivals and cultural programs. 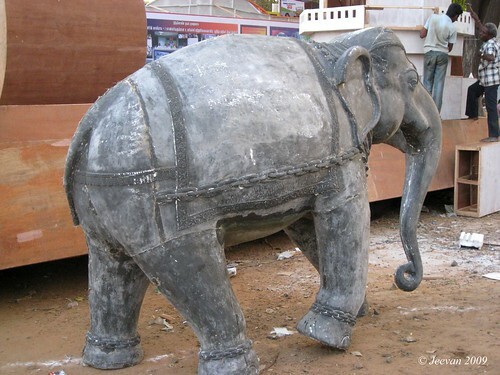 Karagam is mean to decorated vessel. So as one have to perform dance movements, placing them on head without let to fall the vessel. It’s uneasy to see how stable the vessel on head, to only active the body more or less towards music. Have seen this kind of dance in movies alone, and the one ever get out of mind is famous Tamil movie Karagattakaran (karagam dancer). 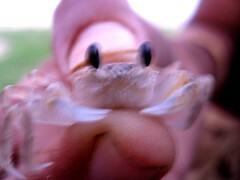 The current song is Mankuyile poongkuyile... from Karagattakaran, do check for the karagattam. 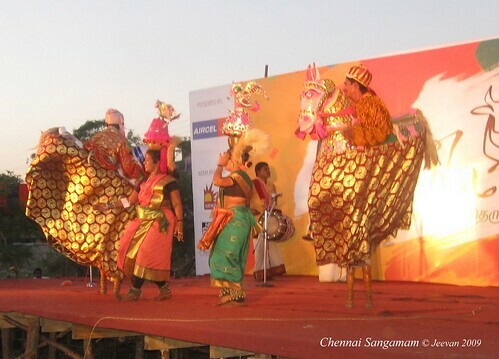 Poikkal Kudirai Attam (Dummy horse dance) is a skill trained performance. It’s wonderful to see someone standing and balancing on two pieces of wooden legs, and caring a dummy horse on hip to move up and down to band music. Wearing colorful cloths hiding there legs, and wooden legs to hoof. It is unheard in the raised band music; called Naiyandi melam. 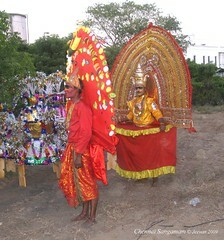 Kavadi attam is a devotional dance dedicated mostly to lord muruga. Unlike those carried on shoulders balanced by a stick and something curved like with fixed feathers on each end, what I see last evening was a stool like thing carried on head with a cone like decorated, as they roll, it revolves colorfully. I watched this beautiful movie in drive-in Theater, last evening with my dad. Just before getting tickets, I looked beside a poster of Silambattam. I shook whether they changed the movie, though it wasn’t, but Silambattam is a night show. From the day Abhi… announced, I looked forward how bond it comes on screen. The story is nothing strange; it’s simply collected moments and gesture of life and relationship, esp. between a father and daughter. Prakashraj lived as a father with more love for his daughter Abe and cares blindly and easily could not give up his daughter for any matter. To notice his visage, it carries much emotion and happiness wherever it needs and uncertain moments he lacks and fears to understand in love and care, the practical wishes of his daughter Abe. It’s so funny how well he prepares for getting admission to his daughter for Pre KG and keeping those innocent anger and shock on face to make us laugh. PrakashRaj did an awesome acting, steeling the whole movie, and it feels something when he fondles his child. For Trisha this is a superior role than just being always a girl to dream. Introducing as school going girl, she proves her extraordinary talent to go along with any character except from being glam heroine. Here the cute Trisha is much loved. The kids replacing childhood Abe are such adorable, and they well acted in there innocent expressions. Ravi Shastry is a good selection, his dialogue delivery is simple superb, where he introduction as beggar is funny, but he touches hearts at being attached to the family. Jogi (Ganesh Venkataram) haves a hunk look. The dialogues talked in Hindi or Punjabi is hidden without giving meanings to those unknown language. And the reasons told to describe Jogi’s family is not inspiring or touching, in trisha’s lack of expression. The entry of Punjabi families in second half derives entertainment to more rattle. The two Punjabi kids come just like that and makes silent laugh at back. Alike mozhi, Abhi… has comedy within track, as it moves us to smile not separately. Manobala, like flashing lights, passes silly commentary on the way even at some serious situation to cool. First, must salute director Radhamohan for not taking care about the commercial items to gives us what really exist. Without many arties, it seems clear with more space to breathe fresh breeze around. 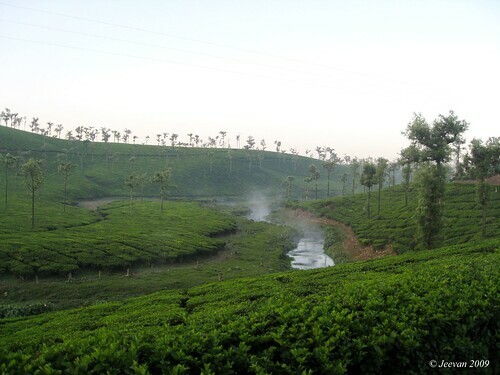 The environment is best suited for a pleasant story, where we chill around Ooty and Munnar backdrop. The camera captures some heavenly places and the song Ore Oru Oorile and Pachai kaatre is evident. The distance between PrakashRaj and trisha in relationship felt us, how well there emotions going to be expressed even in distress. At end they make us realizes that every women is someone’s daughter, thus make solace Prakashraj to think mature. Since Aishwariya acts like a similar responsible mother, who supports her daughter where to tight and lose the rope. At moment to think, self is the only thing remains and no one is belonging to none. Ones we get to practice the separation, life will always be beautiful. 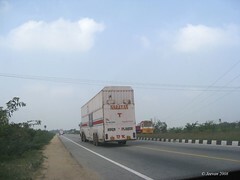 It took exactly 12 hours drive from Chennai to Pollachi, only stopping for breakfast, lunch and some rest. Throughout the day it was cloudy and least open sky to keep our journey sultry free and oppose from using AC, what I withstand this traveling. After packing luggage and then prepared breakfast we left home at 8am, coming across Kanchipuram we ate them all and our next stop for lunch in Dharmapuri. In seven months time, I see the road have picked up well across Dharmapuri, a part of Golden Quadrilateral project NH7 which links Kanyakumari and Varanasi in UP. 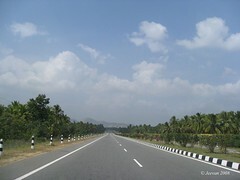 The route we took is too long, minding the double and lack in kind of lane through center state, thus drive us through Mettur-Tirupur-Pollachi. 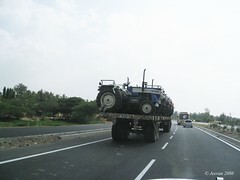 Coming beside the huge trucks, wonders me the pressure and struggle involves in driving them. I could see them hit to climb the sloppy ways and to find reason those stable besides road is due to heat, which is reduced in night so as easy to drive. Sachin want to stamp in water. I am still in thought of counting how many months have passed on and could not feel certainly the year have ended. I truly miss the spirit of New Year begins, when everyone celebrating the night with dreams and wishes I was sluggish and felt asleep in cold fever. I really struggle to get over the laziness and return to normal after experiencing the different environment and feeling surprise. I am back from traveling on Monday night, but felt lonely when leaving everyone at there place and these days thinking about the pleasant experience in week journey couldn’t let me out. Ever plans never gone perfect, though I carry some disappointment and it wasn’t the only thing to think in dream travelling. My travel through this 7th heaven terrain is new and never visited, but felt like well known though incomplete. I need some more time to explore the heavenly places in-around Valparai and Pollachi again in next chance. Even though I make it calm and forbearance traveling what I think exist’ isn’t exactly, but I learnt lessons for my future traveling. I realize how helpful people are; even strange enough each others. Anyhow no one is like how we think about, it’s only our thoughts to distinguish once we begin to share, we became too closer and harder to distance. Soon we planned traveling I get to thought about a friendly driver, who could drive to my comfort. Raja anna, who was part of my past travels comes to mind easily, at our first meet itself we developed a good relationship as brothers. Gladly it was Christmas holyday for him; so he took off from his drive to school bus and joins our fun ride. It’s a pending preplan waited for my cousins’ vacation and the climate I chose is winter, but surprising its all untouched sunny days giving way to cold atmosphere and the blue sky to give a perfect background to pictures. 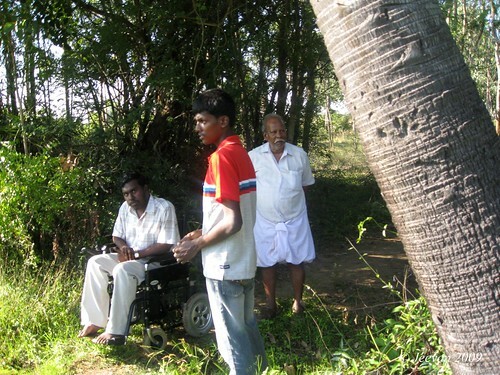 For what I chose visiting valparai is after the state monsoons, so the nature could be at its best in green. Exactly it’s the best time for visiting Valparai, but somehow the mist hides to my disappointment, and cold in its surface sense pleasant what is compared to England’s weather. Throughout the years it receives rain at any moment, but the weather is enjoyable however. Our traveling happens in and around dams and falls with thick forest to stories of animal strikes, but we were so eager sighting any animals to only see some elephants and Lion tailed monkeys in distance. 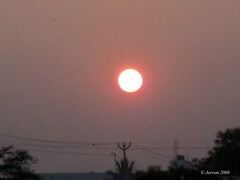 Thanks so much for your dear wishes and travelogue blogs that helps in traveling. I hope u all had a wonderful Christmas and New Year celebration. Will read your blogs soon, take care. A simple person and not highly educated, but enough with sense and knowledge. I learn everything through my experience and reading. I’m diagnosed by Muscular Dystrophy (Limb Girdle), which’s a cause of losing muscles strength and I move everywhere on my power wheelchair. For me there is nothing greater than my parents and no world beyond them. I like spending only on need and content with what I have and like things being simple and neat. An atheist, I believe in nature (the best) and love visiting and staying along with nature. I'm a passionate traveler and believe life begins only outside the windows! The blog is where I sustain into the overseas society and I wish a lot and don’t think so serious and try to live the moment happily enjoying the beautiful thoughts and imagination that exist. I like kids and strongly believe good children are gift to society and hard work is where everything stood on. I love places that adjoin mountains and ocean, and like to spend time with people, as well solitude in nature. I like being honest to myself and with others, and blogging has influenced a lot in my life with friend support, care and love.